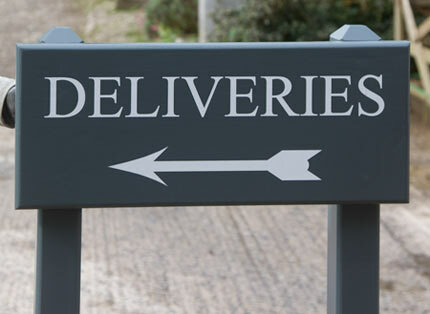 The Sign Maker for the very best in Bespoke Signs. 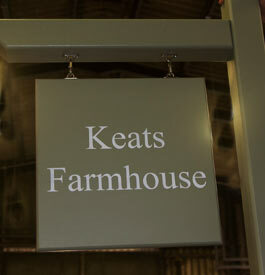 Painted wooden signs made from very stable and durable Accoya wood. 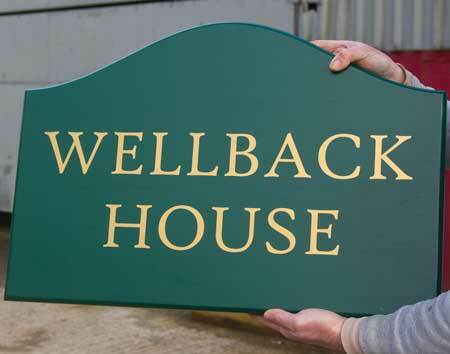 Painted wooden house signs have become very popular. We make them in Oak, Accoya and Idigbo. Oak is heavy and has a beautiful grain which can still be seen. However with oak is there is some movement in the oak and on the larger hanging signs this can occasionally be a problem. Accoya is very stable and more durable than the best tropical hardwoods. Idigbo is a lighter weight cheaper hardwood. Accoya starts life as Radiata Pine which is a fast growing sustainable timber. The wood is then modified by acetylation which changes the chemical structure from the surface to the core. This is a completely non toxic process, which introduces no chemicals not already found in the timber. It actually uses acetic acid (also known as vinegar in it’s diluted form) to modify the timber. Acetylation creates the high performance wood, more stable and durable, mainly due to the fact that it almost eliminates the woods ability to absorb water. It can withstand the toughest outdoor environments and requires far less maintenance. Extensive testing has shown that paints can last up to three times as long on Accoya compared to unmodified wood. Black, white, pale grey F&B Purbeck Stone and a pale green F&B Lichen are the standard paint colours. There is also cream, heritage green and Farrow & Ball Estate No.84 green blue, Stiffkey Blue, French Grey among others available at £5 per order. See our Stock Colours. For colours we don't stock the cost is £55 per colour per order. We can match Farrow & Ball colours. 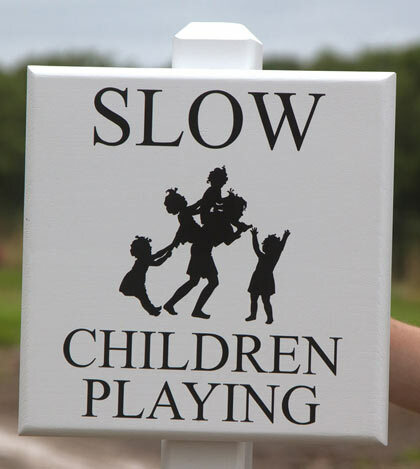 A cheaper alternative to painted accoya signs is the Painted Tricoya Signs - Tricoya is a wood based very stable and long lasting board. 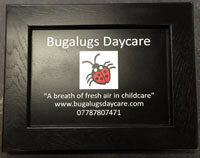 For single sided signs it may be better to use an adhesive rather than spoil the clean look with holes. This are available from any builders merchant. We can supply CT1 or Power Grab N Bond at £15.30. NB Single side signs are painted on the reverse, but you will see a small hole which is used to hang the sign from during the paint spraying process. 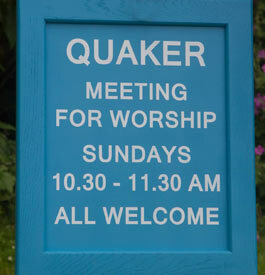 These are an alternative painted solid wood sign. The frame is 30mm Accoya wood and the internal panel is 6.5mm waterproof Tricoya Board. This wood based composite product is exceptionally stable, strong, durable and weatherproof. 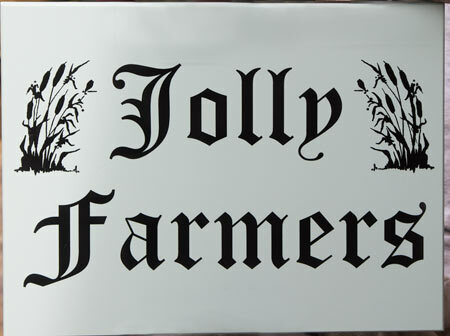 These can again be single sided wall mounted house name signs, or double sided hanging signs. We also make blank boards for you to paint your own lettering. These are available painted in all our stock colours and in portrait or landscape.